Let’s be honest, who doesn’t want Duke by her side? 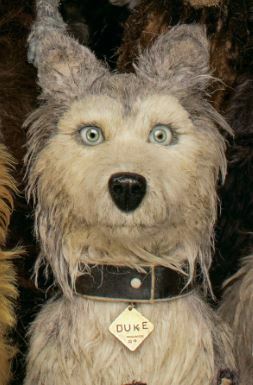 The previews of Wes Anderson’s latest movie Isle of Dogs are enough to do a happy dance at the box office (and there are several dog-friendly previews in London this weekend, such as Hackney Picturehouse in east London). The RSPCA has teamed with Fox Searchlight Pictures to find homes for the dogs in its kennels. 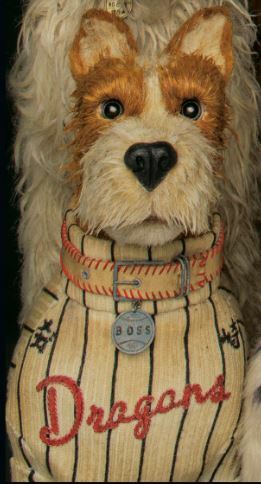 As the charity points out, while each dog has its own character, being dumped on a garbage heap is far from uncommon. The movie tells the story of 12-year-old Atari, who works for the corrupt mayor of Megasaki City, which has banned all its dogs and exiled them onto a garbage island. The boy is searching for his bodyguard-dog Spots and visits the trash island, where he meets some of the abandoned pooches. 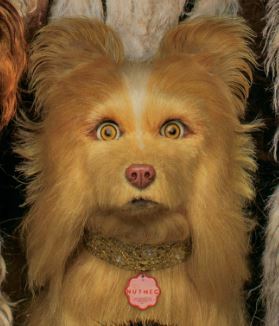 It’s a rollercoaster ride with dogs in Wes Anderson-style, so basically perfect. 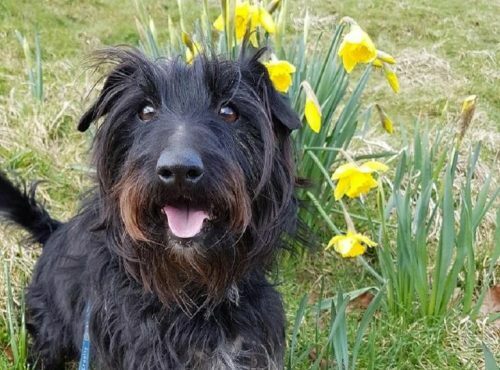 Much like the ring-leader of the group Chief, Pippin has had a rough start in life and is now looking for his happy ever after. 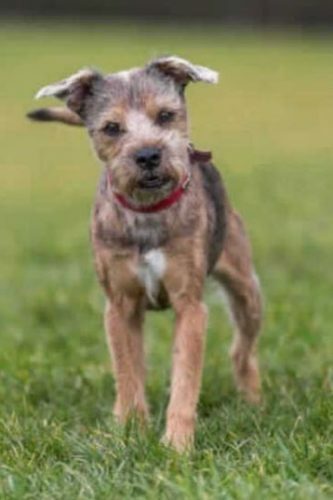 The three-year-old Terrier cross Pippin is a delightfully scruffy boy! 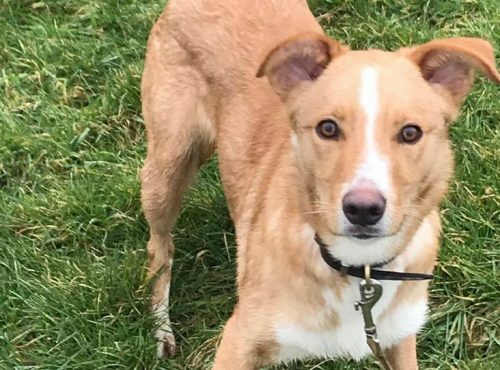 This fun-loving boy is on the lookout for an active home where he can have lots of varied walks and someone who can carry on with fun positive training with him. Pippin is a busy boy and really enjoys using his nose for scent work – especially ‘find-it’ games! To learn more about Pippin, please call the RSPCA Little Valley Animal Shelter on 07748 629202. Just like Duke, two-year-old Tundra is a beautiful Siberian husky. 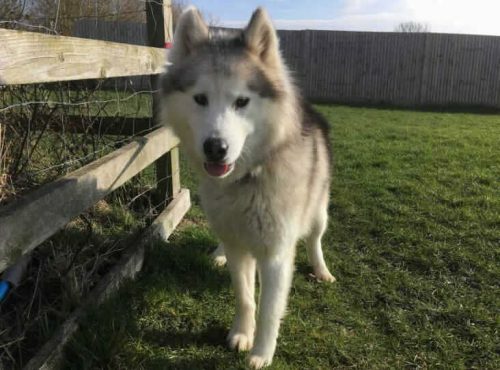 Poor Tundra has lived a sheltered life and had only known life outdoors in a kennel when he came into RSPCA care. He finds everyday noises scary and will need a helping hand to get used to life in a new home. To offer this beautiful boy the home comforts he deserves please contact RSPCA Blackberry Farm on 0300 123 0752. 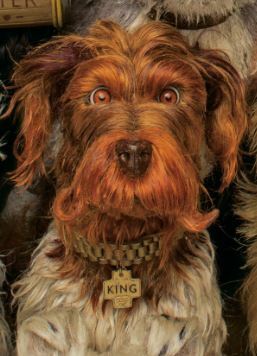 Like King, Alfie is an energetic soul who loves to play and bark. He is now looking for a new best friend who can help him learn new skills and tricks. Always on the go and a big fan of treats this friendly little fella can’t wait to find his new forever home. If you would like to find out more about Barney please contact RSPCA Blackberry Farm on 0300 123 0752. 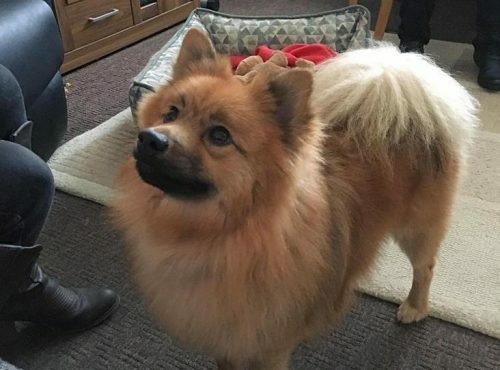 The glamour pooch of the group Nutmeg resembles RSPCA rescue Pomeranian pup Coco. Sweet little Coco is a girl that likes company – and preening too. 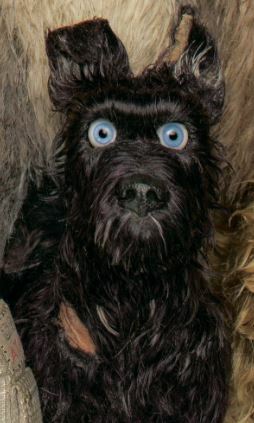 Her coat is thick and needs regular grooming to keep it in tip-tip condition. This bright one-year-old girl has a mind of her own and picks up skills and tricks quick as a flash. She has had an unsettling first year of her life and would love nothing more than to settle down in a new home. To offer lovely Coco a home please contact RSPCA Cheshire branch on 01612 862503.